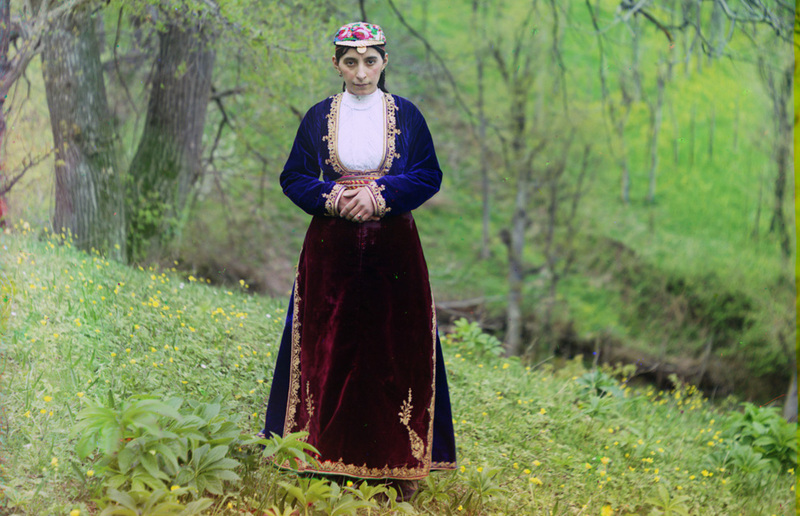 With images from southern and central Russia in the news lately due to extensive wildfires, I thought it would be interesting to look back in time with this extraordinary collection of color photographs taken between 1909 and 1912. In those years, photographer Sergei Mikhailovich Prokudin-Gorskii (1863-1944) undertook a photographic survey of the Russian Empire with the support of Tsar Nicholas II. He used a specialized camera to capture three black and white images in fairly quick succession, using red, green and blue filters, allowing them to later be recombined and projected with filtered lanterns to show near true color images. The high quality of the images, combined with the bright colors, make it difficult for viewers to believe that they are looking 100 years back in time – when these photographs were taken, neither the Russian Revolution nor World War I had yet begun. Collected here are a few of the hundreds of color images made available by the Library of Congress, which purchased the original glass plates back in 1948.